We are the manufacturer and suppliers of excellent quality Refrigeration Unit. This Refrigeration Units are available in various specifications for maintaining different temperatures. Low temperature , Medium temperature and High temperature. This range includes a wide variety of both evaporating units and condensing units as per the specific cold room application. It includes both air-cooled and water-cooled. 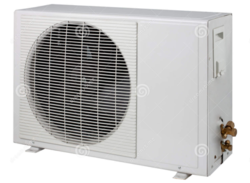 We manufacture and supply excellent quality Condensing Units which are manufactured by using high grade material. These Condensing Unit are widely appreciated by our clients which are situated all round the nation. High in demand. 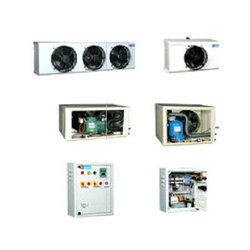 These Condensing Units are available at most reasonable prices. 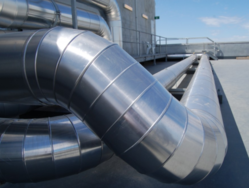 We are engaged in offering an HVAC Insulation Work to our valuable clients.We offer this service in an excellent manner within a scheduled time-frame.These works are available in varied forms that meet customers demand. Our firm is affianced in providing HOTLINE INSULATION. 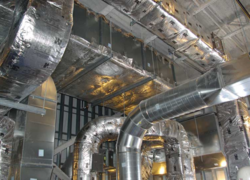 Elmech Engineers offer comprehensive HOTLINE INSULATION Provider for varied industrial sectors. Looking for Refrigeration Units ?